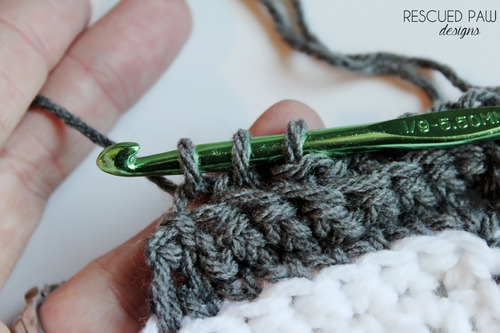 I think that it is great that you share your work, allots of people want to know how to do the ripple stitch. you did a great job of explaining the stitch. Thank you so very much. 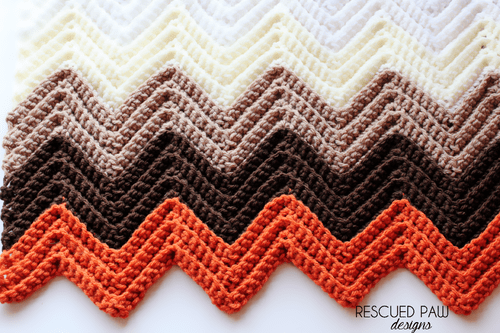 I’ve been looking for a pattern like this ripple, thanks for sharing! I love the look but I’m a little confused about the sc2tog. It looks the same as a sc decrease, in which case it seems like it would lose two stitches with every row. Could you clarify? I’m working on it now! Thanks!!! What are the final dimensions on this blanket? This is just a tutorial so they are no final dimensions. Hope this helps. Thanks so much for the tutorials and pattern. 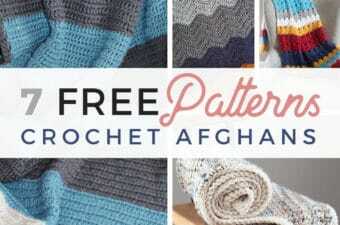 I have ripped about three different afghans out trying to duplicate this pattern on an afghan given to me. I’ve been promising an afghan to my son for a couple of years so times a wasting! Thanks again. 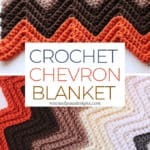 This makes a blanket so much thicker, love this idea!! I found a website that gave instructions on how to use the multiples in making the chain. I have got it figured out and now I am going to practice for a few days and then I am going to go and buy my yarn. 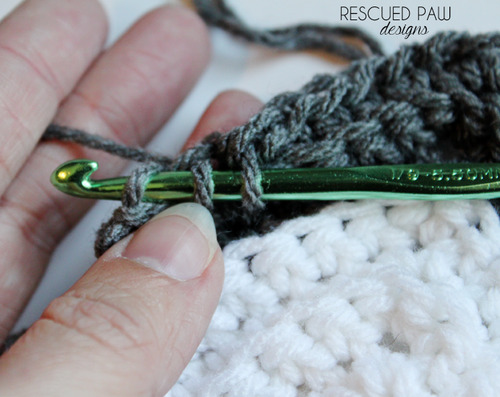 I can hardly wait to get started and this pattern is exactly what I have been looking for. Thank you so much. I’m just starting on my seventh Afghan in this pattern, I’m addicted. This one will be donated for a charity event for children with brittle bone disease (OI). Thank you for sharing your patterns. 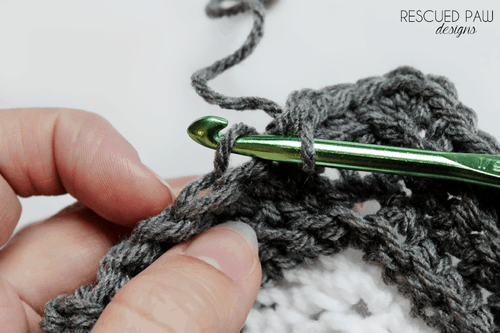 Can you tell me how much yarn to purchase – this is my first crochet project. 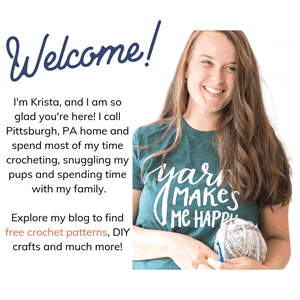 Welcome to Crocheting! 🙂 You will love it! What size blanket did you want to make? 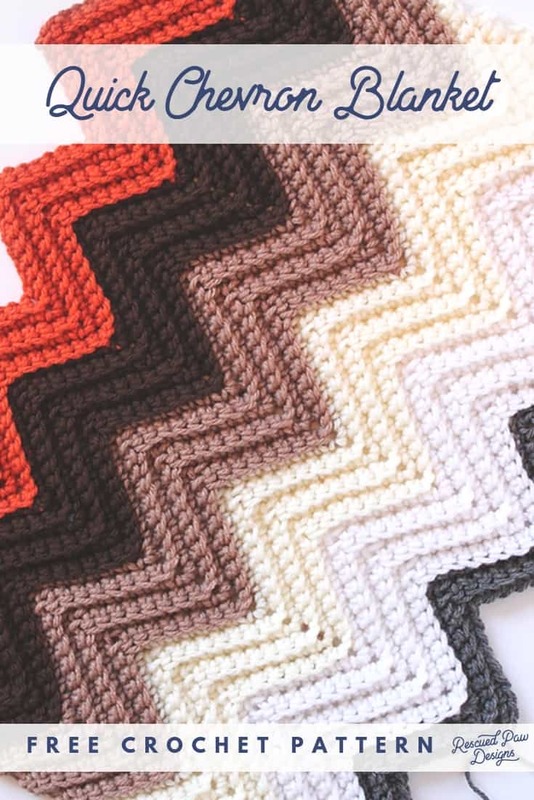 Love the pattern, can I make it with a heavier weight yarn? 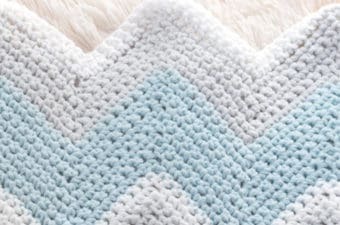 I’m pretty new to the craft and have my heart set on making a baby blanket with a blanket yarn. Would that work with this pattern? 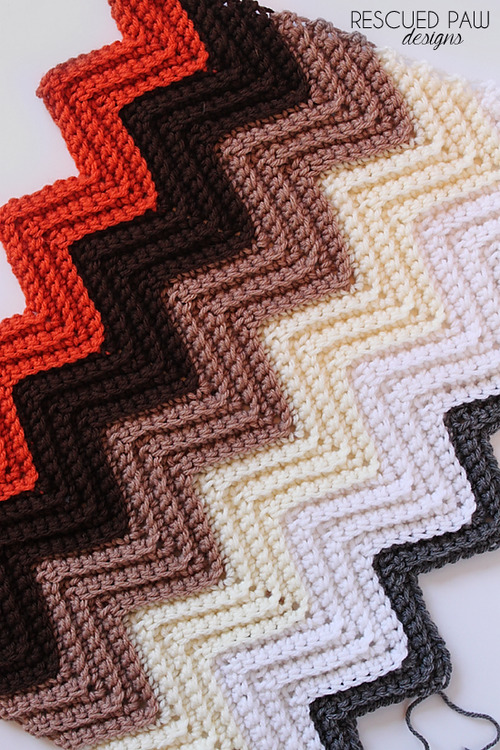 I really enjoy this pattern, it is very simple. My grandmother taught me how to crochet a few weeks back, so I have been doing a lot of beginner projects. 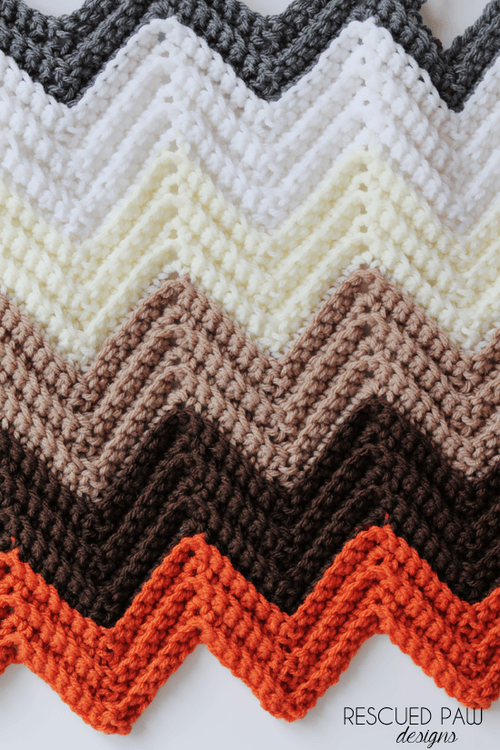 The blanket I am making using this pattern is by far my favorite one so far. 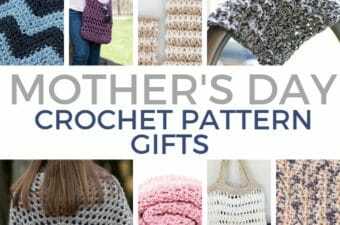 My mom used to do this pattern ,she showed it too me many years ago . I had forgotten how to do it. Thank you so much for sharing. I think she made her peaks and dips a bit larger how do I Figuer out the # of stitches to do? Use ing 9 instead of 7 what do I start with .? I would like to know how many to chain for a kingsize bed. In your you tube you said 16 stitches to add but in written instructions you have 15. Which is it? I added 16 & came up short for the ends. So I am confused. Thanks for the pattern. Hi Margaret. That is a different pattern on Youtube the Wonders Blanket. 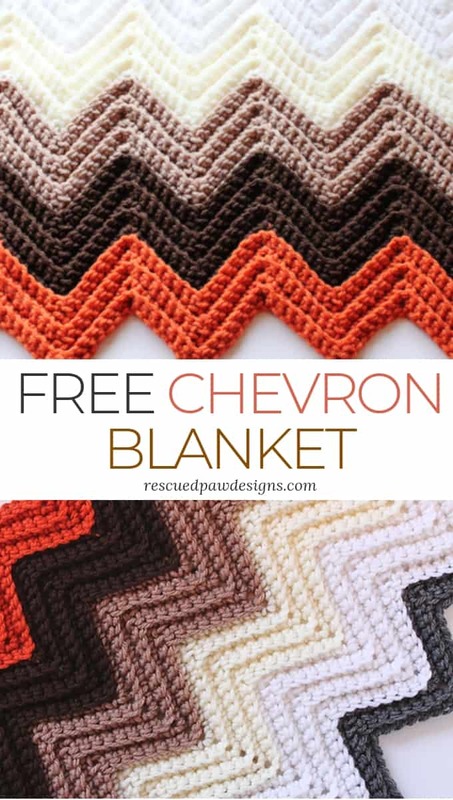 https://rescuedpawdesigns.com/2015/02/19/the-wonders-chevron-crochet-blanket-pattern/ Hope this helps! I made 2-17+15 to practice on and end of 2nd row I’ve done over and over and can’t seem to get it right everything else is fine til then. I know I’m making it harder than it is. 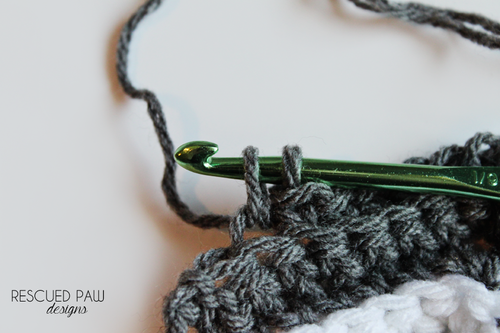 I’ve done the afgan stitch for over 30 years because I of this problem I have with counting stitches. Great job of explaining so must be me. Thank you. 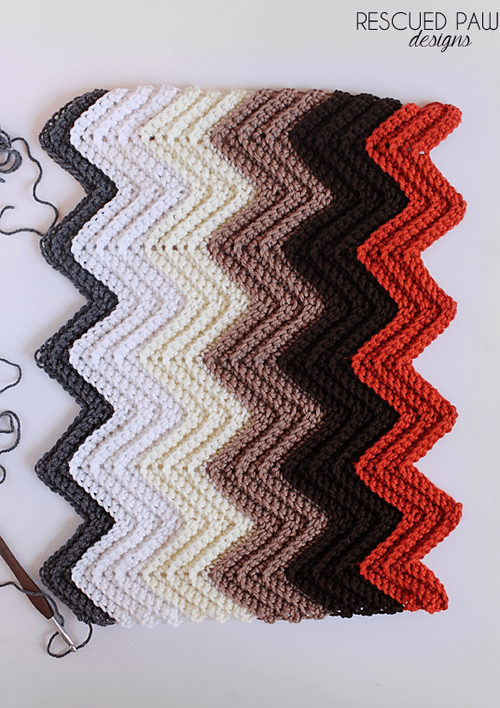 After the last row I would chain 1, then single crochet along the outside of the blanket doing 3 single crochet’s in each corner. 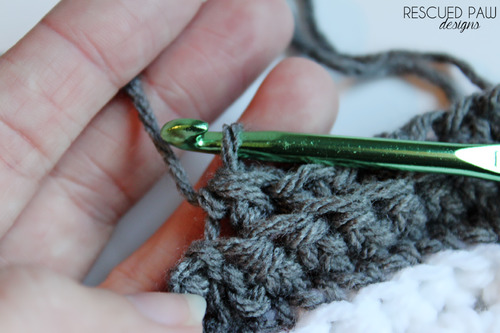 When you get back to your first stitch join the yarn with a slip stitch to finish. Hope this helps!